Looking for a way to spice up office meetings? 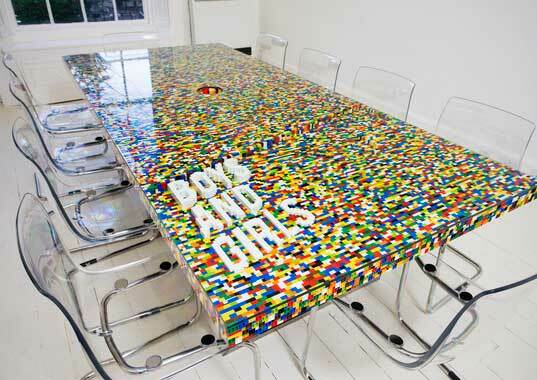 Consider hiring ABGC Architecture and Design to build a LEGO table like this one, which was commissioned by Dublin ad agency Boys and Girls. 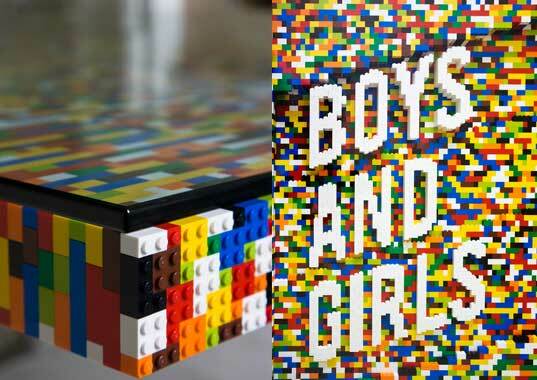 Inhabitat reports that the table was made with 22,742 LEGO bricks snapped together the old-fashioned way–no glue necessary. The whole thing was placed atop a stainless steel base and covered with a four foot by nine foot slab of glass, presumably to prevent angry employees from smashing the table. ABGC isn’t the first group of visionaries to create massive works of art out of LEGO. We recommend checking out Nathan Sawaya and his mind-blowing Art of the Brick sculptures.